The older I get, the easier it seems for me to fall into the trap of thinking “I’ve seen it all”. But fortunately, God keeps bringing things across my path to convince me otherwise! Like the other day on the bus – there was a young Jewish teenager wearing a black yarmulke (those little skull caps that Orthodox Jewish men wear). That’s fine, we have a strong, vibrant Jewish community around where I live. The thing that almost knocked me off my feet though was that machine-embroidered onto the yarmulke was … wait for this … the Johnnie Walker Whisky logo. I must have looked at it a hundred times to make sure I wasn’t seeing things! Now my Bible tells me there’s nothing wrong with whisky per se. So I really had to think about why I was so blown away by this incongruous juxtaposition of the yarmulke and the whisky logo. And having thought it through, here’s what I’ve come up with. It wasn’t so much about under age drinking (although that was part of it). No, it was more about the symbolic language that it spoke. The whole point of the yarmulke is that it symbolises submission to God. I really get that. I’ve worn one once, when at Bible College we visited the Great Synagogue in Sydney, and were required to put one on before we went inside. It was an experience that oddly warmed my heart – there was something wonderful about the symbolic act of visually proclaiming that I am humbling myself under God. And so the yarmulke emblazoned with a crass commercial logo completely destroys its meaning, by placing something other than God above the man’s submission (all be it that he was a young man). This grossly defaced yarmulke is a picture that will remain with me always, because it captured for me what it is to live a life full of the outer trappings of religion, and yet to completely miss the point of the greatest commandment of all – to love the Lord our God with all our heart, soul, strength and mind. A God-above-all position, as it turns out, isn’t an easy position to take in life. Truly humbling ourselves under the mighty hand of God comes at a great cost … the cost of our lives. And whether it’s a whisky logo between us and God … or some other idol or stronghold in our heart, when we place it above, when we elevate it and in effect worship it, we’re missing the whole point. The devil in tempting Jesus – the final temptation – took Him where? To the pinnacle of the temple. Why? Because underneath the pinnacle was the Holy of Holies – the place where God’s Presence dwelt. The temptation was for Jesus to place Himself above His Father and put Him to the test. And of course, that’s what the devil does. He kicked off his career after all, by trying to elevate himself to equality with God (Isaiah 14:12-14). So may the image of the crassly defaced yarmulke remain seared on your heart, and may the Lord our God speak to you through it of the God-above-all plan He has for your life. Honest Answer #3 How's Your Daily Walk with Jesus? ‘We often speak of God as light. So at the end time I guess the crucial fact for us will be this. Are we able to come into Gods presence happily, into that light, or will we be, because of what we have become, unable to cope with that light and have to turn away into the darkness, probably cursing and blaspheming and absolutely affronted by the pure goodness of God’. thank you for this commentary Berni, insightful again. 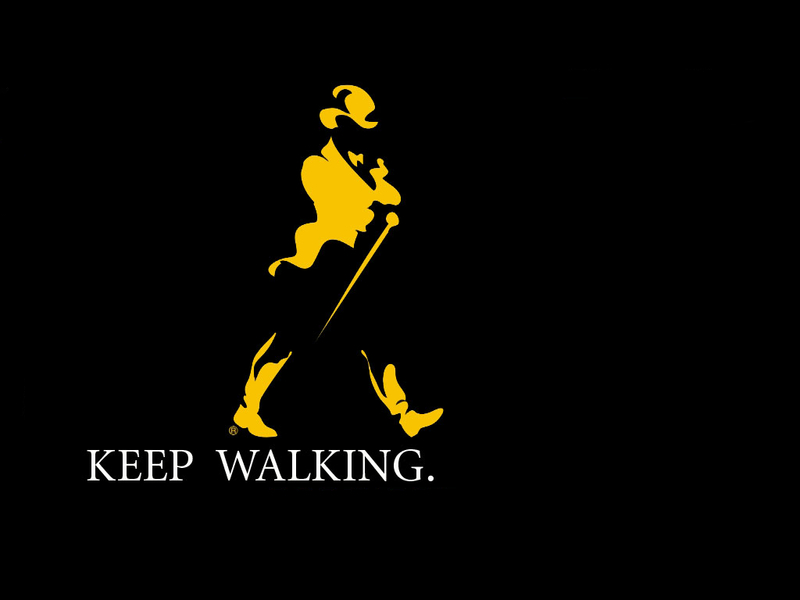 There are times though when I say I want to ‘keep going strong like Johnny Walker’ !